Nice synchronized down wing pose captured. Lovely image but I would warm it up a little if it were mine. 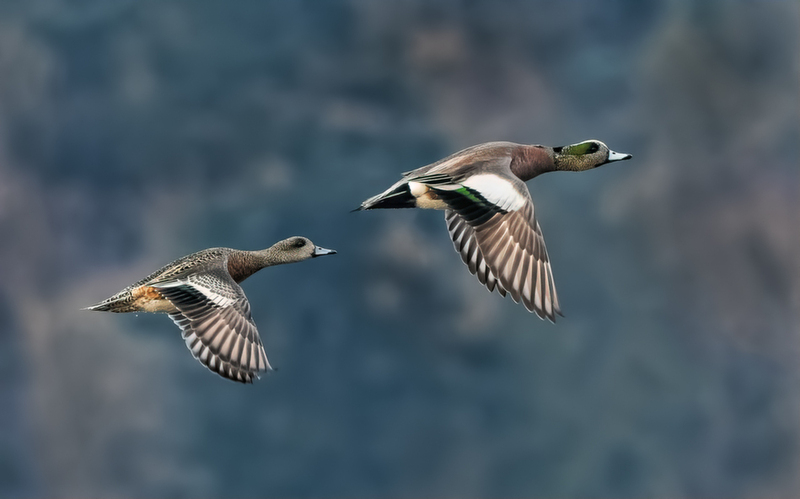 A terrific capture of this pair, both with wings on the down stroke, and beautiful detail and color in the plumage. Viewing large is a treat. Yes, this one is really a nice view at this couple. I agree it could be warmed a tad. This is beautiful. Both ducks are tack sharp and wings are in same position. Nicely done. I agree! A fine view of these beautiful little wigeons.